And, April is Autism awareness month. This month if you are on social media you will see "light it up blue" or an article or an image that will bring awareness to ASD which is short for autism spectrum disorder. It is a developmental disorder of variable severity that is characterized by difficulty in social interaction and communication and by restricted or repetitive patterns of thought and behavior. I get it. 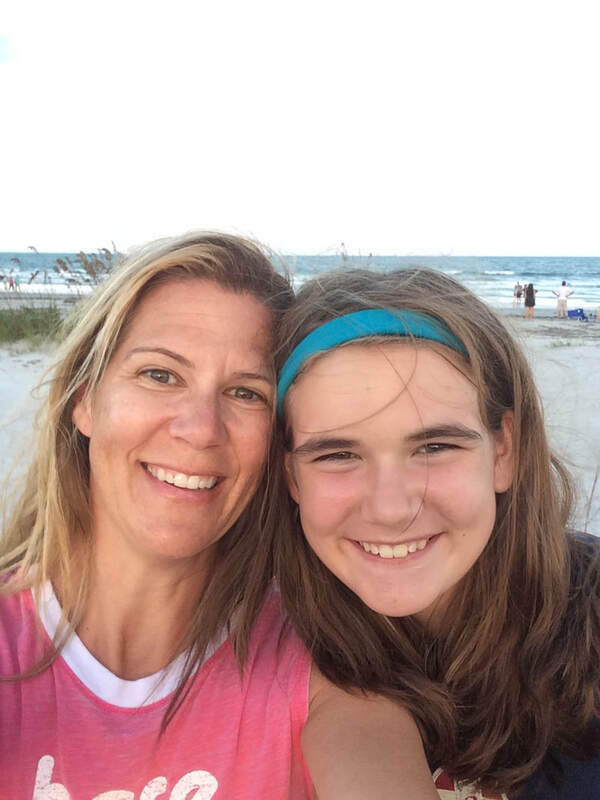 I was like most people before my daughter got diagnosed with autism over a decade ago. I did not pay attention to anything special needs period. But then things changed after that day. My life changed. My perspective changed. Before that, I was in my own little perfect world. Deep into insignificant issues like working full-time and planning my next beach vacation. I had a greater purpose after ASD entered. I became more empathetic. For example, because, I as a parent was living daily with meltdowns, sensory issues, and teacher conferences informing me about how disruptive my daughter was in class. 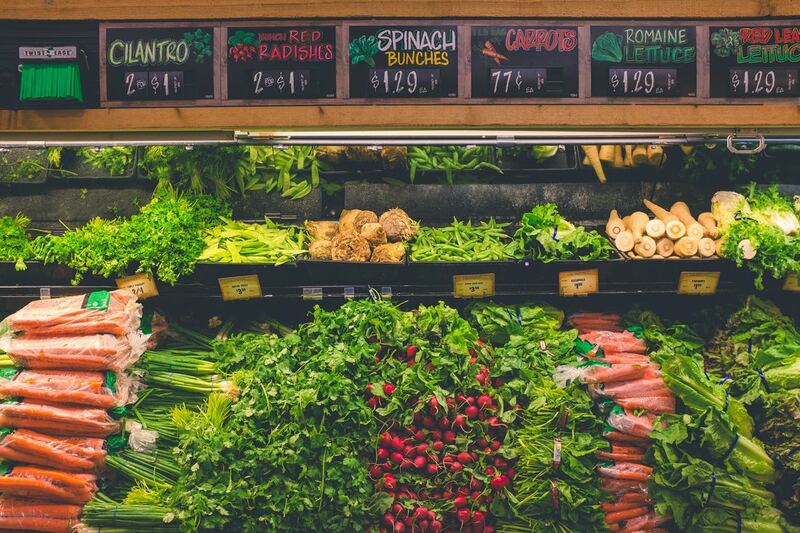 From then on I did not judge the dad or mom that was leaving their full grocery cart in the middle aisle with their child in tow having the worst temper tantrum I had ever seen. I was more understanding of these situations. My empathy grew stronger for parents like myself that needed to get through another tough day with their child that might have something wrong with their brain. I was that parent leaving my groceries at the store. For whatever battle you're fighting, someone is fighting another battle just as hard. And, autism is ours. We love that April is autism awareness month and April 2 is autism awareness day. For us, it’s 365 days of autism awareness day. I write to you not to feel sorry for me. I write to inform. We are good. Because in our house, love is strong and no small accomplishments go unrecognized. Shout out to all that are fighting something unexpected. 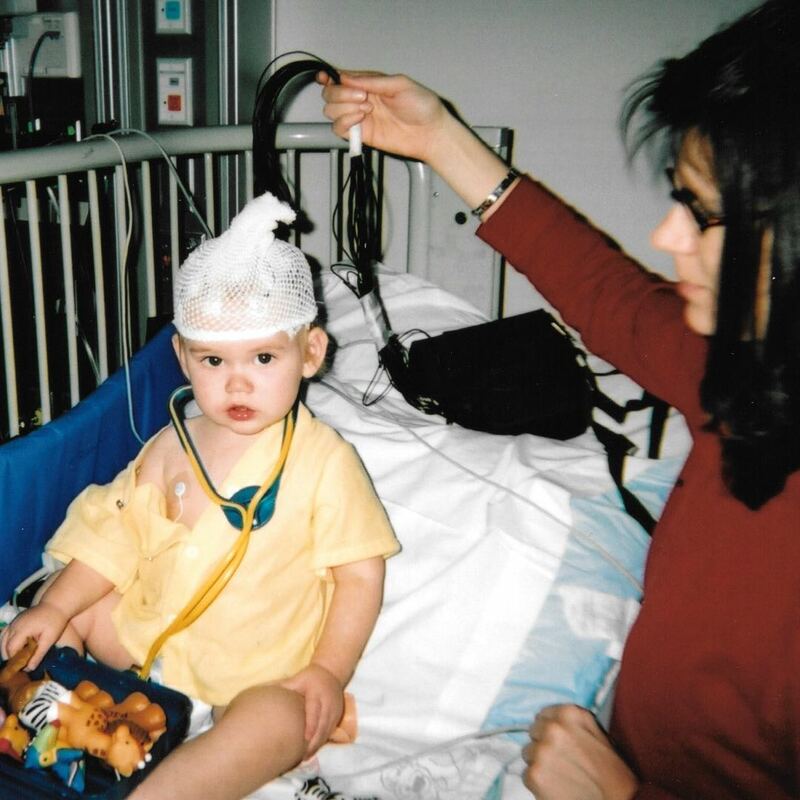 For over a decade we did not know the root cause of our daughter Allie's seizure disorder. Having the why unanswered was incredibly difficult, to say the least. I felt like an erratic mother bear searching to no end on everything as to why her brain was broken. Desperately scraping surfaces for any clues. I could not rest well without knowing. Negative on both sides of family history for mental illness, chronic conditions or any seizure disorder. Baffled. I was fishing in ponds of medical guesses, and mentally I was running out of bait. ​I never heard about this kind of epilepsy. I continued to read the entire site. Feeling excited and scared all at once. “THIS IS ALLIE!” I said to my husband lying next to me. ​What stood out the most while reading posts from other families. A small detail, but a genuine trait of our daughter, was that these children loved swimming just like Allie. I immediately messaged the website explaining who Allie is and the similarities with other children with the gene mutation. Delighted and shocked to receive a message back at that hour from the admin. 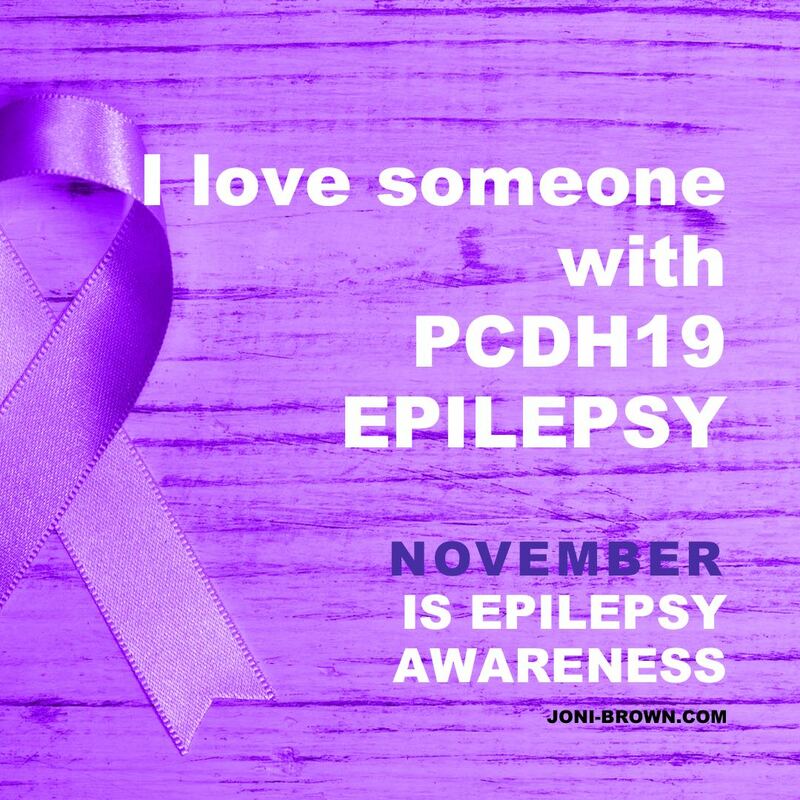 “It sounds like your daughter has PCDH19 epilepsy. 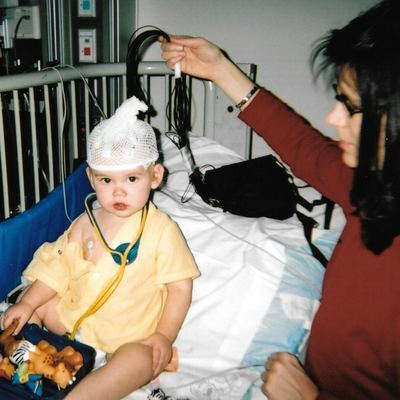 Have you ever had an epilepsy gene panel done for her?” From that message, our lives changed. "No, we have not heard of that. But I will have the doctor order it." I wrote back. Finally, our first solid clue and it was a big one. My mind racing. Could all this be the result of a gene mutation? Could we have an answer from a simple blood test? It was more than I could fathom. I was mad, outraged, happy and sad all at the same time. My extreme emotions ran through me hours into the night. Why hadn't our neurologist offered this simple test before? I needed that epilepsy gene panel ordered for Allie. 4 o’clock in the morning, exhausted after reading all I could about genetics and PCDH19 epilepsy, I collapsed in a deep sleep. I woke at 9 a.m. called the doctor's office at the Children's Hospital Neurology Clinic explaining that I needed a specific gene tested. I was directed to the genetics department shortly after and was then assigned a genetics counselor. They did their administrative work behind the scenes to get the test ordered and ultimately it was paid for by insurance. 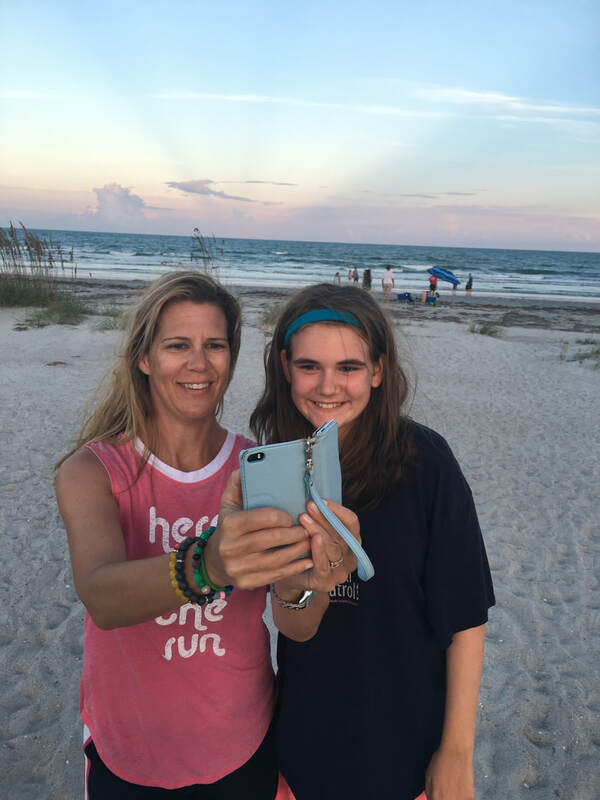 Seven long weeks after Allie's blood was taken, my phone rang. It was the genetic counselor. Her words echo still to this day. A bittersweet feeling afterward as our family finally had an answer. Heartbroken, as there is no cure for my daughter's rare gene mutation. The medical treatments are no different. After all, it's only words on a piece paper: important words, no doubt along with a crucial diagnosis. ​The fact remains, Allie is who she is and that never changes; however, I am grateful for the unanswered question that was finally answered after ten years of not knowing the WHY. It changed me on the inside. A calm had entered my psyche. My motherly instincts now verified. ​Social media; take the good the bad and ugly from it, I chose to take the good from it, and I now use it as an educational tool. A dear friend of mine and I have a lot in common in regards to raising our children with special needs. Recently we had a discussion. We get similar comments from friends and family that say, “I don’t know how you do it.” Followed by an intense stare. How does one respond to this? First of all, I don’t have a choice. I love my child, Allie now 15. 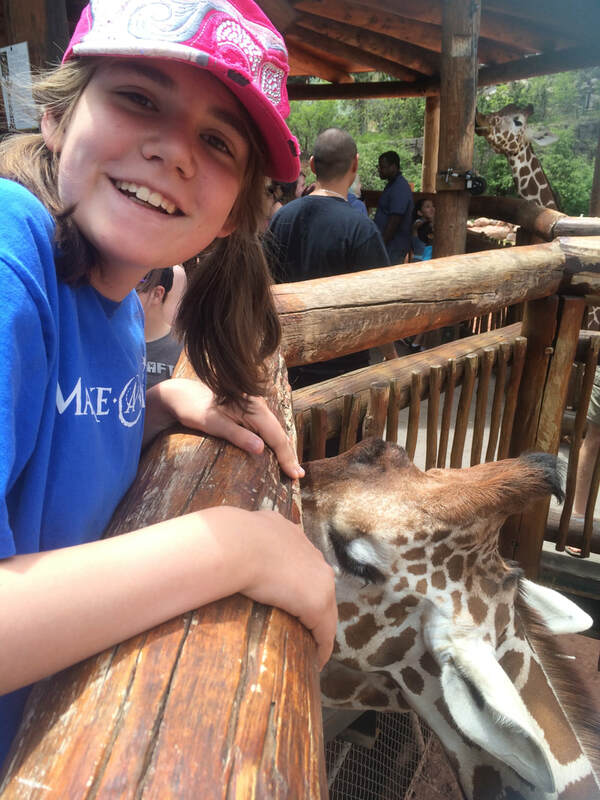 She lives with PCDH19 epilepsy and autism. Challenging at times but I strive to support her the best way I know how. Secondly, I don’t do this alone. I have support. I take extra time when choosing special people in her life that truly care for her. Also, various professional therapies are crucial. They are an important element to help her live the best life she can live. 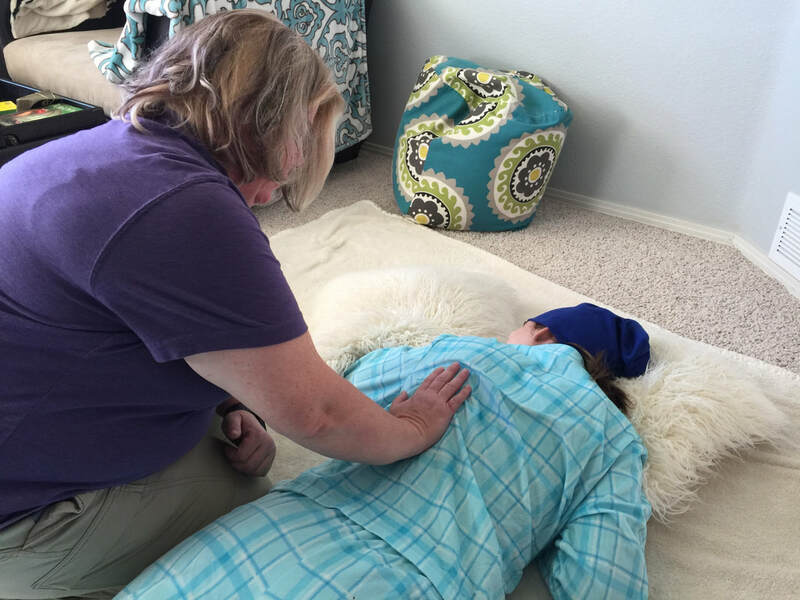 Massage Therapy is one kind of therapy that is essential for a teens growing body. Allie has aches and pains just like anyone else. 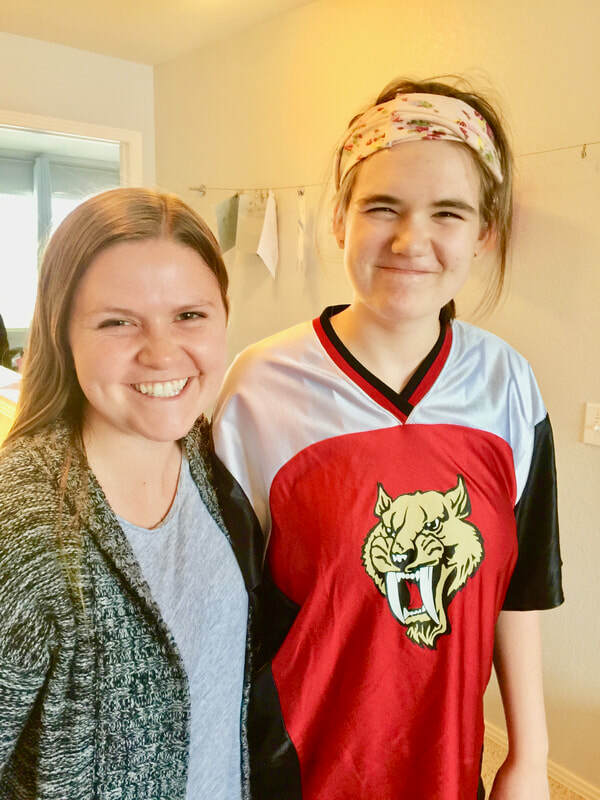 A professional Massage Therapist named Julie from The Child and Family Therapy Center of Denver arrives at our home and provides Allie with massage to relieve muscle tension and help with her tactile sensory issues. 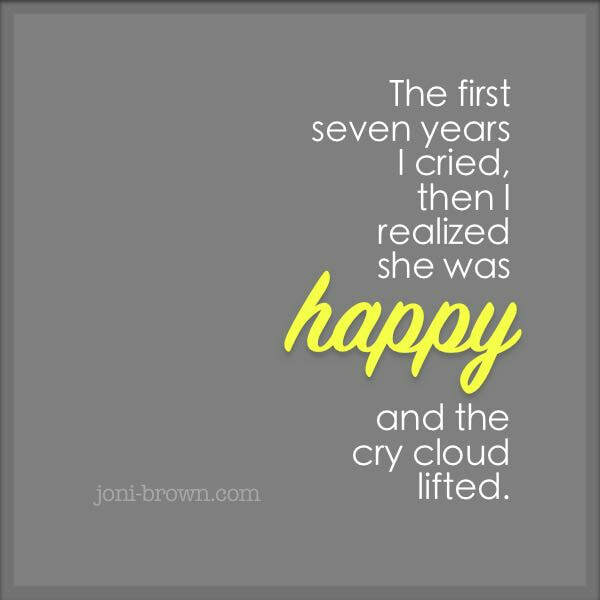 From The Child and Family Therapy Center of Denver's website. For children with Autism, research has been published indicating that massage may provide relaxation, stress reduction and calm muscle spasms. 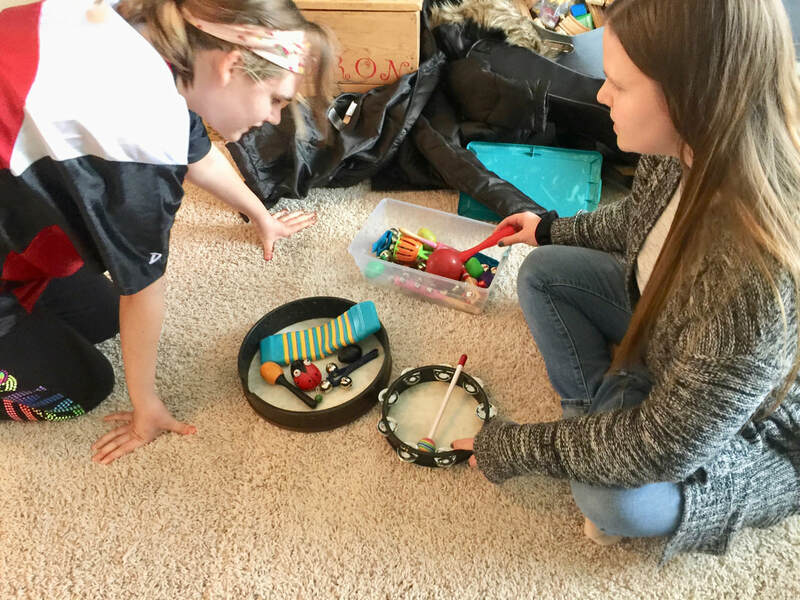 Research has also demonstrated that this type of intervention may promote more on-task and social relatedness behavior during play, children with ASD show less erratic behavior, and are more attentive after receiving massage therapy. Allie enjoys her time with Julie. It relaxes her mind, body, and spirit while providing benefits that I could not give her. Music Therapy is another treatment that Allie benefits from. She had a strong aversion to songs on the radio, musical instruments, and other people singing. Her avoidance to any form of music was disruptive as anxiety grew whenever she was exposed. For a decade, the Happy Birthday song has been a struggle and creates internal anxiety for Allie. Once at a friends birthday party she ran out of a room while her peers were singing it. Other times she would cover her ears during the tune. Music Therapy was the answer. A board-certified Music Therapist comes into our home weekly and provides hands-on musical experiences. Fun instruments are woven into lessons such as egg shakers, jingle bells, tambourines, the guitar and our own piano. The interventions are designed to promote wellness, manage stress, enhance memory and improve communication. Ms. Shelby, Allie's talented Music Therapist, teaches her how to be in control of the music by creating and writing the craft. After three years of sessions, Allie's musical idiosyncrasies are manageable. She now enjoys listening to music in the car and even has her own playlists stored on an iPod which calms her during noisy or chaotic times. The Happy Birthday song issue is a work in progress and making great strides. I don’t expect a quick fix after so many years of avoiding the tune. With an understanding therapist like Shelby, I am confident Allie will be successful. Ms. Shelby is Allie's weekly Music Therapist. These are just two therapies I highlighted, however, Allie is in more and over her lifetime she will continue various therapies. I am grateful that I have help! I can't do it all alone and I'm not ashamed of this fact. It's a big job. If I'm going to give my daughter the best life she can live, I will ask for all the help I can get. With special people in our lives like these talented therapists, I can achieve that goal for her and for us. Technically it is still a working manuscript. 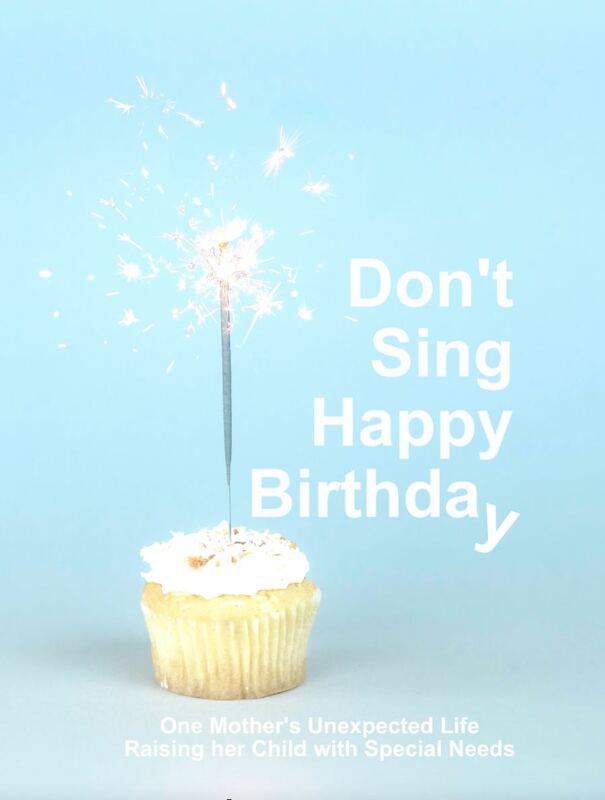 I am happy to report after 20 book title considerations I chose Don't Sing Happy Birthday. This project is a huge undertaking, but I love it all, every step of the way! ​Below is the book cover concept. Thank you for your support. This epilepsy life never stops giving. Allie had a seizure at the waterpark over school break. She was waiting in a long line with her dad at the top of the highest waterslide. Quickly, Allie dropped into a 4 minute tonic clonic. She came out of it on her own to be carried down all those steps to a full hallway of paramedics, first responders and hotel staff. Calmly they took care of her and us. We packed up quickly and sadly drove home in the family minivan. 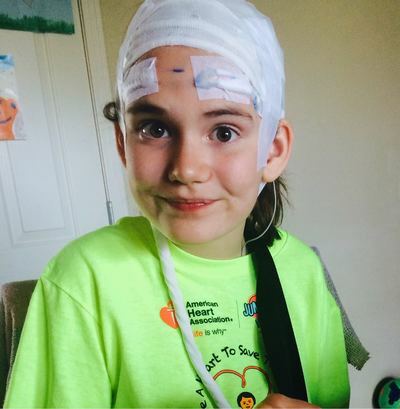 Allie is recovering well after her cluster subsided, six seizures total this time around. A painful arm and shoulder was a result of her fall. The next day she was convinced it was broke. Luckily the x-ray came back showing no broken bones. Advil and an old arm sling for a few days she should be back to playing basketball in no time! Above: No broken bones here. 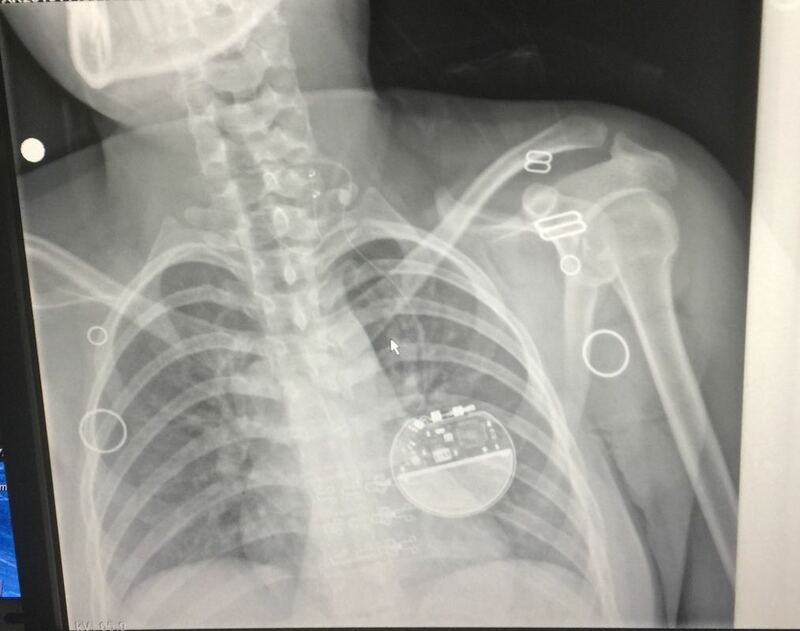 The x-ray also shows her VNS implant. Pretty cool! Circa. 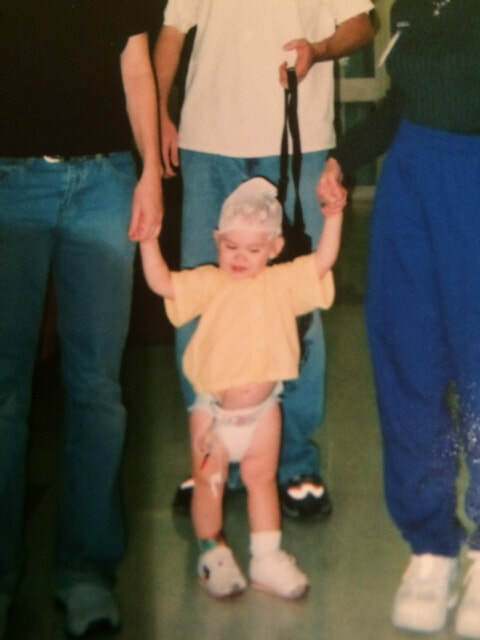 2008 at the sweet age of 4, my daughter Allie that lives with PCDH19 epilepsy, autism, OCD, and ADHD named her beloved yellow stuffed animal. Duckling Jack O'Lantern Suped is the name she swiftly choose one afternoon. I can’t make this stuff up guys! 15 years and a million wash machine joy rides later. The. Name. Stuck. It's still her favorite stuffed animal that she sleeps with every night. Duckling Jack O'Lantern Suped a.k.a. 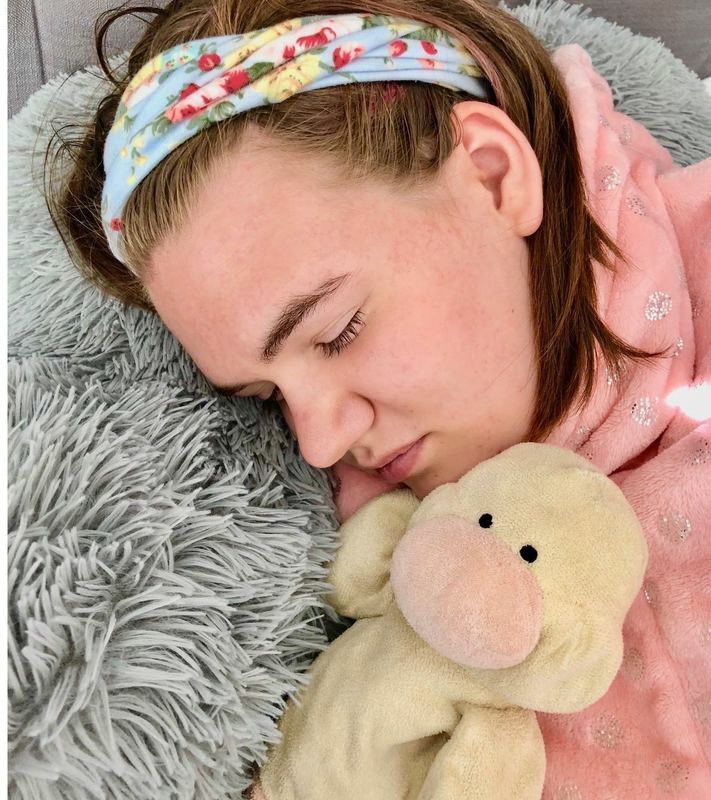 “Ducky” has been by Allie's side through thousands of car rides, nine vacations, three surgeries, hundreds of doctor appointments, and approximately 4,200 seizures. I'm shocked that we haven't lost this damn duck. Why the loyalty? Could her sweet plush duck appear real to her? Remember the Velveteen Rabbit; a children’s book written by Margery Williams in 1922. In the book, the stuffed rabbit was loved so much from the boy who got him as a Christmas present, that a fairy stepped out of a flower and magically turned him into a real rabbit. I know this book so well that I could recite on command. No joke that is how many times I have read it to Allie over the past 15 years. I have to wonder if she knows something we don't know about toy magic? A person with special needs is, do I dare say is lucky? A wonder brain? Speaking about my daughter only, because I've known her for 15 years, she indeed has the most remarkable life. She lives in the moment. She lives by each minute or whenever her next snack or meal is. She spends her days lounging in her favorite soft cloths, playing her favorite games, reading her Curious George books, eating her favorite foods and wondering when the next trip to the amusement park will be. And her latest obsession is when she can get her chance to win at a giant claw machine. ​Today I was checking out at my local grocery store. The young man bagging my groceries had special needs. He was very social with excellent eye contact as he asked me if I had any fun plans for the weekend. I felt very happy for the young man. He has his place in the workforce, earns a paycheck, contributes to society, and clearly has no problems with socializing. As I finished my payment, smiled goodbye, and rolled out my grocery cart to my car, I felt a huge wave of sadness come over me. By the time I got to my minivan, my emotions were too much to contain. I placed two bags on the car seat and hid my face inside as I wept behind my large black sunglasses. I was sad for my teenage daughter. 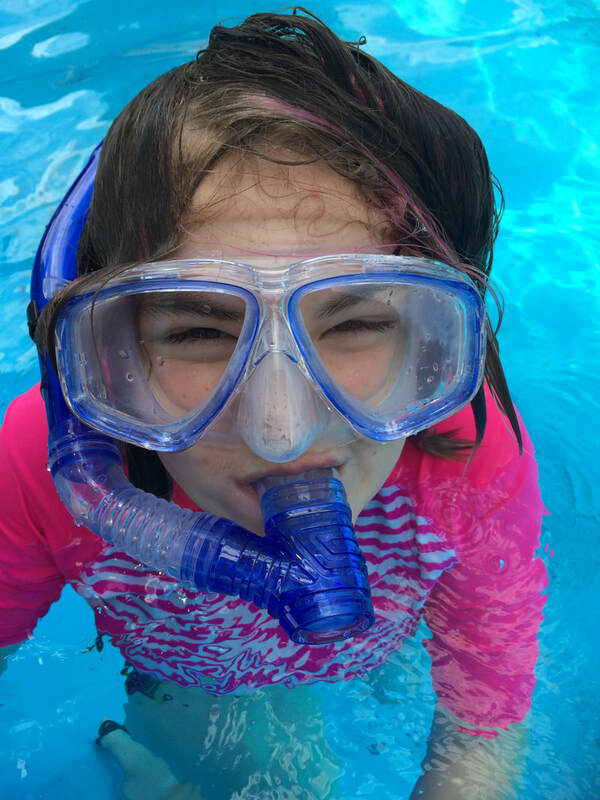 She lives with a severe form of epilepsy and autism. Although she has these challenges, she still perseveres in her daily life, and her social spirit is a strong force. Sometimes she is the queen bee of socializing, with appropriate conversations and happiness all around. However, she has an unpredictable side to her that consists of inappropriate behavior. Sometimes we cannot take her in public for the safety of herself and others. As I cried in my minivan, I sobbed at the future for her. Where will she fit in? What will her days look like post-high school graduation? 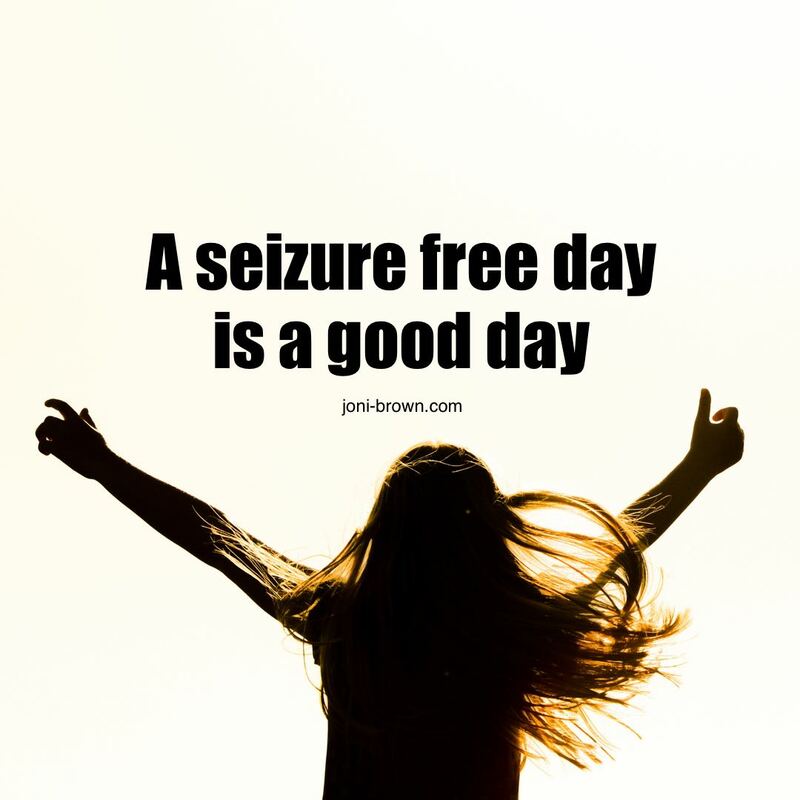 How will an employer understand if she cannot come to work because she is having a seizure cluster? What employer will see her as a sweet human being and not someone with disabilities? Today was one of those days where the future was too much for me to think about. Moving forward, I need to be her strongest advocate. Look for the best work programs, so she has a chance to be part of society. I wish for her to not only take up space in the workplace, but to be a positive contributor to an organization that will help her have a good quality of life. Even though I am not sure of what that will look like, I will figure it out in the near future.